The effect of Ni nanoparticles addition on some optical and magnetic properties of polystyrene has been studied. 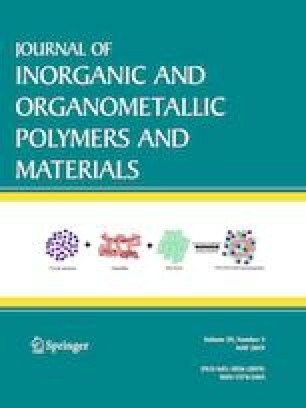 For this purpose, Ni nanoparticles were synthesized by reduction method and added to polystyrene as a filler with different weight percentages (3, 5, 8 and 10 wt%) to form Ni–PS composite films. The films have been prepared by solution casting method. The structure of the prepared films were investigated by X-ray diffraction (XRD), where the obtained results reveals the existence of cubic phase structure of Ni nanoparticles embedded in semi crystalline PS matrix. The morphology of the synthesized Ni nanoparticles was described by high resolution transmission electron microscope (HRTEM). The individual Ni nanoparticles were needle like shaped particles while the agglomerated nanoparticles form sphere like shaped particles. The surface of the prepared Ni–PS composite films was examined by field emission electron microscope (FESEM).The optical properties of composite films was examined by UV–Vis technique. The transmittance was found to decrease while the absorbance increases with increasing the weight percent of nickel nanoparticles. The absorption coefficient, optical band gap, and extinction coefficient of the composite films were calculated. The results revealed a decrease in range from (4.54 to 3.91 eV), and an increase in both absorption coefficient, and extinction coefficient with increasing Ni nanoparticles. Magnetic hysteresis plots at room temperature of composites Ni–PS were studied. All samples demonstrate ferromagnetic behavior with well pronounced magnetic hysteresis except pure PS showed diamagnetic behavior. The exchange bias effect at room temperature was observed and discussed for Ni–PS composite films.